Thank you for visiting Buy Belize Auto Rental. Be sure to ask about our daily, weekly, and monthly specials. Buy Belize Ltd. is proud to introduce you to it's most recent addition - Buy Belize Auto Rental. 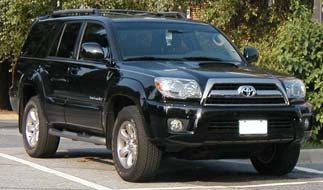 Buy Belize Car Rental has been providing clean, efficient, reliable,and economic vehicles to its clients for many years. We are known throughout the country for our outstanding guarantee of 24 hour service, unlimited mileage, airport pickup, and vehicle delivery whether it be at the airport or to your place of stay. 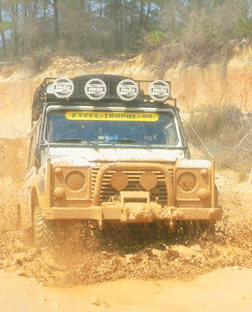 Your decision to rent a vehicle for your vacation or business trip in Belize is a wise choice. As vehicle transportation is the most affordable and convenient mode of transportation in the country. In order to rent a vehicle in Belize you must have: a valid driver;s license, and a major credit card or cash deposit. We do ask that you reserve your vehicle in advance so as to be certain of the availability of the vehicle of your choice. We maintain a moderate fleet of 15 vehicles so as to allow personalized attention to our clients. Buy Belize Auto Rental is conveniently located at 2.5 Miles on the Western Highway in Belize City (junction of the Fabers Road and The Western Highway). This location allows our visitors easy and direct access to the Western, Southern and Humming Bird Highway - all of which lead to most of the major natural attractions of Belize including: Xunantunich Ruins, Old Belize Museum, Placencia Resorts, The Belize Zoo, and all other major locations located to the south and west of Belize City. See below for the vehicles that we offer!! After making a reservation you will receive an e-mail or phone confirmation within 24 hours with which you can pick up your vehicle at the airport upon arrival or at your hotel. Upon your arrival we will greet you at the airport and bring you to our Office. From there we will provide you with a map and cellular phone if you desire and print the direction of your destination for you. Our location is very accessible and it allows us to provide you with easy and early return to the airport at the end of your vacation. For the very best in a personalized vehicle rental service and for the lowest prices in the country of Belize. This is to say if it is raining on your arrival, we will greet you not only with a smile but also with an umbrella. Free shuttle service to and from our main office to anywhere in Belize City. We provide our vehicles with children car seats for Free upon request. Free use of Ice Chest upon request. Free maps of country and cities in Belize (including road maps). Free pick up and drop off within Belize city and at airport. The client must be at least 25 years of age and have a valid drivers license. + (plus) Collision Insurance $13.00 USD a day and $750.00 Security Deposit. Providing travel and tour information of all districts in Belize.